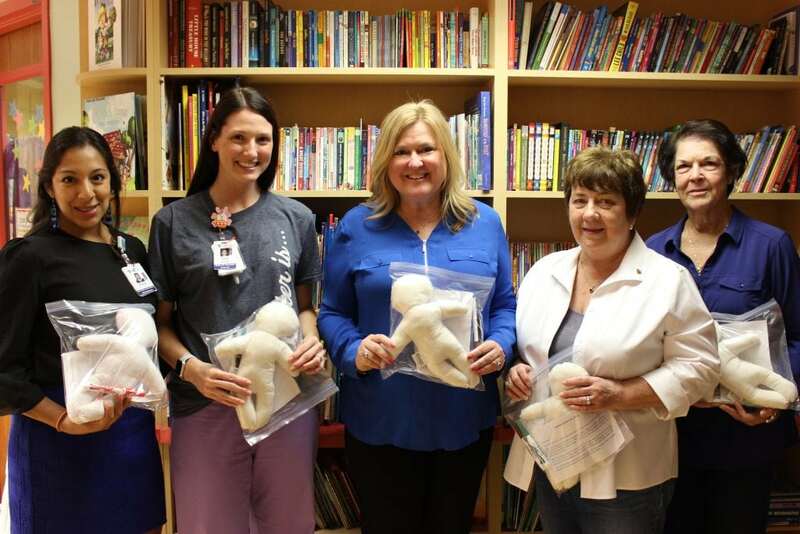 Cortana Kiwanis members in Baton Rouge, delivered 50 trauma dolls to Our Lady of the Lake Children’s Hospital in Baton Rouge and Our Lady of the Lake Livingston in Walker, LA. Each facility received 25 dolls to use with their young patients. Cortana Kiwanis Club members cut, sewed, stuffed and packaged the dolls for distribution. The dolls can serve as a diversion to distract a child from pain or boredom and provide a creative outlet. They allow a child to create desired characteristics with a marker. The dolls provide comfort, companionship and a sense of ownership. At Our Lady of the Lake Children’s Hospital, the dolls have been used by our child life staff, nurses or physicians to demonstrate a procedure, helping a child and family to have a better understanding of a procedure or illness. For more information regarding the freestanding Our Lady of the Lake Children’s Hospital, please visit letsbuildamazing.com. Check out the video below to see what’s currently going on at the site.